It needed to be narrow... just a place to put on my boots or tie my shoes. 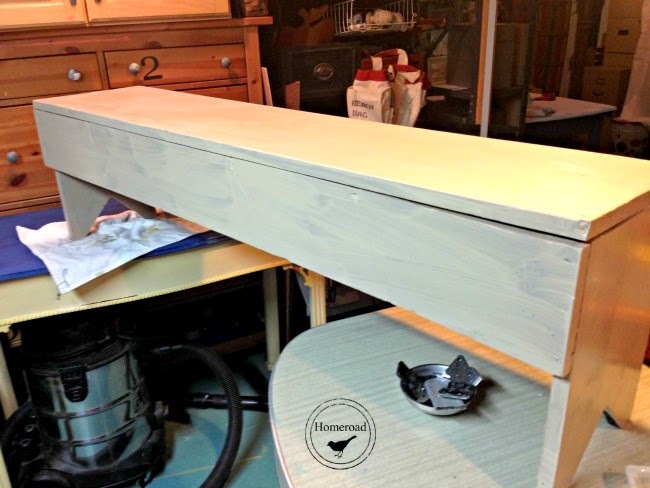 An old bench I had in the basement was going to work... a rustic, partially painted bench that was about 5 feet long. I'm using Fusion Mineral Paint for this project... I love how smoothly it goes on, the great coverage, and the fact that it doesn't need waxing is a super bonus! 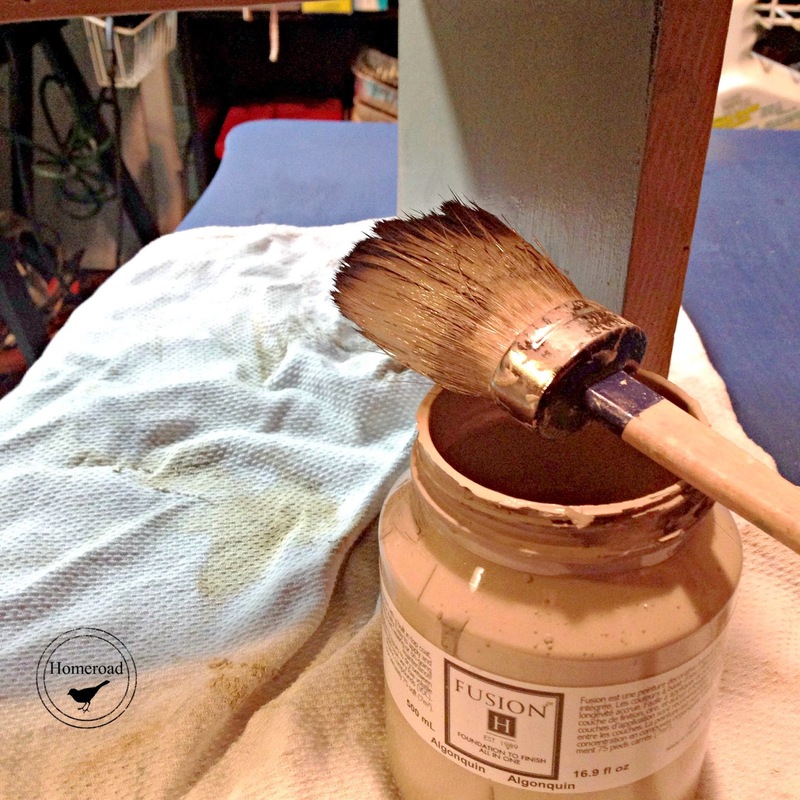 The chunky brush helps the paint go on quickly with easy 1-2 coat coverage. 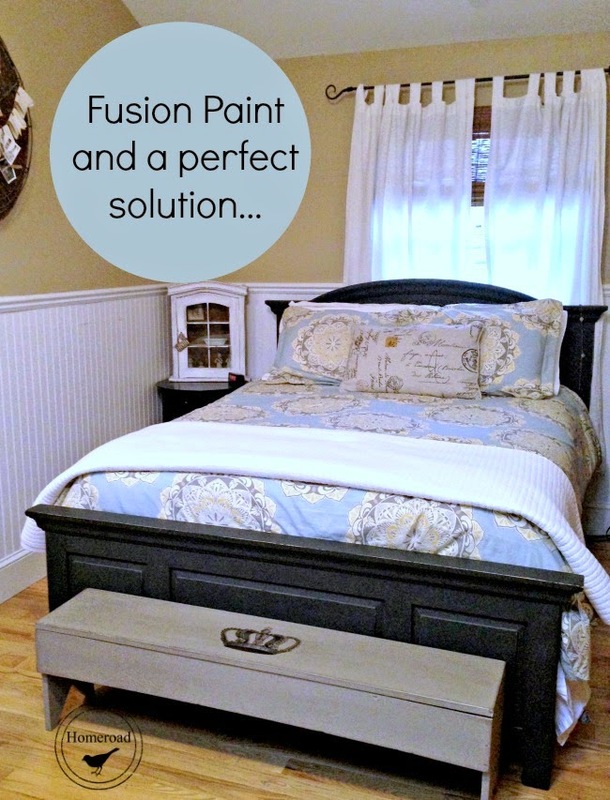 The Fusion Mineral Paint dries quickly and was ready for my decorative transfer in no time. I began the transfer process by printing out an image on a laser printer. I chose a beautiful crown from The Graphics Fairy. Step 1 is to cut the printed image out close to the picture. 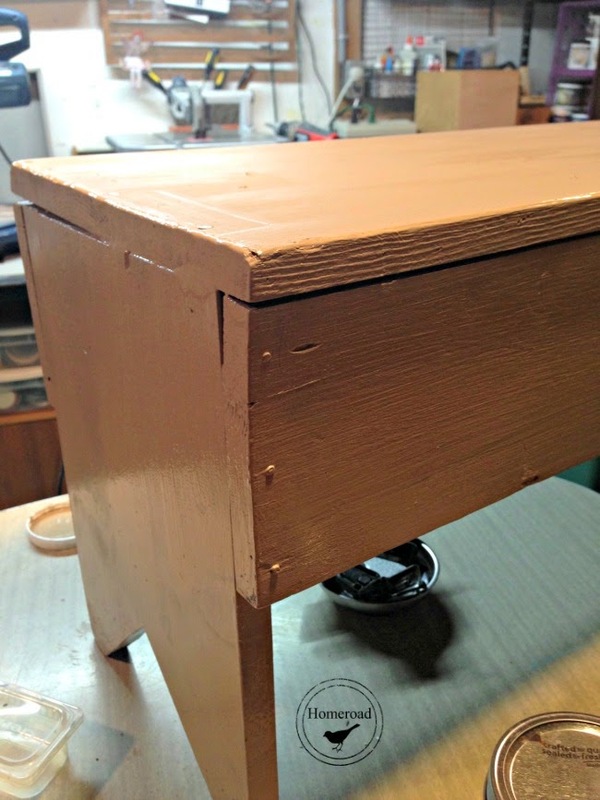 Step 2 is to apply Modge Podge to the front of the image and flip it onto the bench. I use a brayer to smooth out the bubbles and bumps. Step 3 is to let it dry for several hours then re-wet the image with a spray bottle. I start rubbing off the paper... this is not a quick process. When you think you've got off all the paper, let it dry again and then repeat. Wet the paper film that is left again and using the ball of your hand rub the image until every trace of paper is off. *Often times the image will get a small rip... don't worry just use a thin sharpie to repair any part of the image that may have come off in the process. Only you will know! Step 4... Use a sealer over the top of the image. 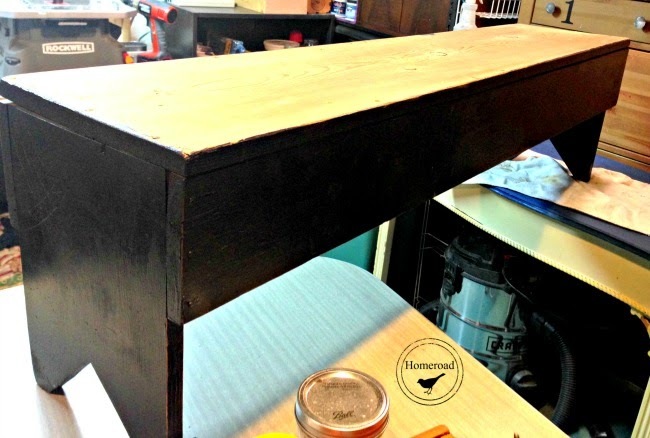 I used Miss Mustard Seed Tough Coat across the entire top of my bench. 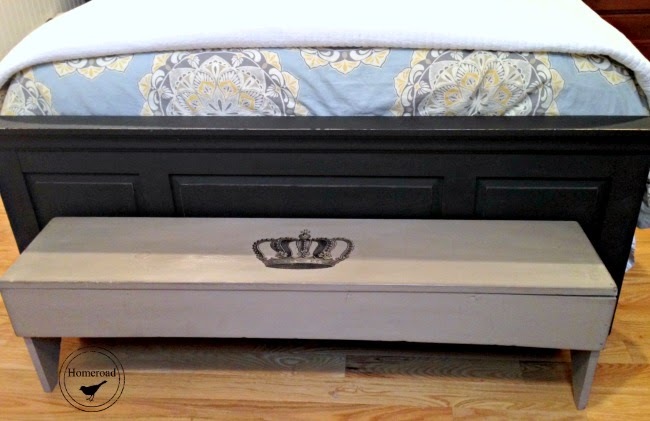 You can read about my thrift store bed transformation here. In no time my bench was ready! This little rustic bench is the perfect place to tie my shoes or to just pile high with clothes.